Uttrakhand Floods – The heart-breaking, pathetic picture painted by these floods have left most of the people shaken & terrified. 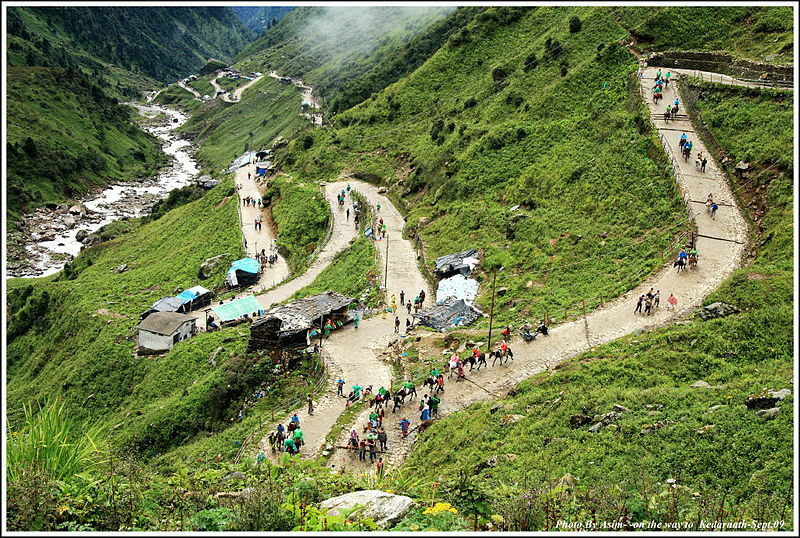 Kedarnath & Badrinath – One of the most sacred place for Hindus, the place where devotees go with the feeling of forgiveness for their sins & mistakes, with the feeling of thanking GOD for the life HE gave, with the feeling of devoting themselves to GOD’s service, with the feeling of giving honor & respect to Almighty GOD. Why… Why this anger on GOD’s own devotees? Why… Why this happened at a place where people visit so that their lives become smooth & happy? Why… Why even innocent children (who are believed to be pure & free of sins)? Why… Why the whole families got swept away? Why… Why so many are left…waiting for their parents, children, brother, sister? Why…Why are they deprived of performing even their last rituals? Those who have escaped…say…its Almighty GOD who saved them, they have developed a strong belief in HIM. But, those who lost their near & dear ones… can they accept it easily thinking it the wish of GOD? We cannot think, all those lost had done some sin. We cannot think, dying at a sacred place will give them “MOKSHA” (Freedom from birth, re-birth cycle). It’s a huge mass of people that is affected and it is difficult to think all of them saw this day for the reasons stated above. Then what was it? Was it destiny? India has best of Astrologers, but then why didn’t anyone predict such thing, if it was destined to happen? GOD is always said to be kind, to do all for good, but how to find positive in this situation? There are natural calamities, earthquakes, floods, cyclones – and there are innocent people who die in these. Even those are hard to accept. But, when it happens at one of the most sacred place, it becomes even more difficult to accept & understand. What message HE want to leave with this? Does HE want to remind us that it is HE who controls this world? Does HE got angry with the business done on HIS name? Does HE got angry with the over- enhancement of roads, helicopters, shops, hotels? Does HE got angry because HIS peace is disrupted? It is good to be GOD Fearing, to do all our deeds keeping in mind that HE sees us all. But, it doesn’t seem to be fair to live in terror. People are so terrorized; they are having sleepless nights & bad dreams. It’s a pathetic situation even for those who survived. GOD… Please….Please forgive us for all our sins. Please show us the right path. Please give peace to the affected families. Please help in rescue of remaining victims. Please give strength & courage to face all this. This entry was posted in Bereavement, God and tagged Badrinath, FAITH, family, friends, God, Kedarnath, Life, People, Random, Thoughts, Uttrakhand, Uttrakhand floods by Akanksha. Bookmark the permalink. 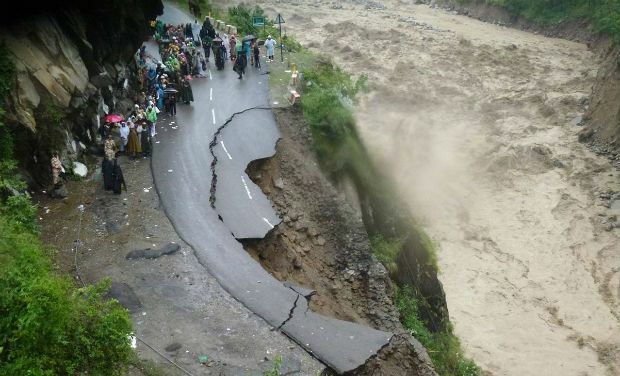 This is not the work of god, this is due to climate change which is man made. But, nothing happens without GOD’s will. HE could have prevented this. No, do not blame It on God. God gave us the Will to prevent it. I am not blaming..I am just questioning HIM. Everything done by HIM, has a valid reason behind it, I just want to know what was the reason for this massive destruction at a holy place? Okay then, thank you for your explanation. Akanksha dear, I too agree with “seeker”. For “God’s sake” don’t blame “God”. Its your belief he is omnipotent, but truth is you don’t even know if he exists or not. I suggest you better watch movie “Invention of Lie”, here i am linking a must watch clip from it, http://www.youtube.com/watch?v=RlX0Fk-701Q. Its a must watch. I too believe in “God” but only as an entity who might be there which we can’t see and has engineered us. But never believe that he must exist, i just believe that there is a possibility he exists. God Almighty controls develops and destroys… He is kind and forgiving, but at times ignoring mistakes and sins accumulate to be a huge problem, that is the time that there is sudden outburst, such calamaties are result of such outbursts… those who get affected.. for some it is rtheir destiny, for some the result of their karmas and also to all a lesson for tampering too much with nature. This is the peak of Kalyuga.. there could be two views on this : one is he calls good people early to save them from facing this bad world, other is nature of sins have become so heinous that he has to look towards such massive punishments… and who knows if the whole world is near destruction and then reconstruction.. and it is a beginning to that ! May GOD help the affected families with peace!! We can see this from many perspectives, I read about someone saying that this proves GOD is not there as it happened in the very holy temples….sometimes we bring destruction to ourselves, by our actions…it’s the use of free will that s/he has given us and when we don’t use it correctly I don’t think he tries to correct it unless we have a strong karma. But I am sure the families will find peace!! Akanksha – I feel your anguish and despair. Though, I don’t think the answers can be found in our mind and with a reasoning intellect. Yet, I don’t know the answers to what you’re asking. I’ve had my share of heartbreaking questions. I think the devastating problems we see happening so randomly throughout the world lies mostly with the human condition rather than God. Yes, of course, we are all responsible for tampering with nature, climate & other GOD’s creations. But, when almost all of us are responsible, why only some goes through suffering. And, why innocent kids —- I am never able to find justification for this. I know Akanksha – I’m not able to comprehend nor understand such things either. I think where we’re at we can’t because of limitations though nothing could seem to justify things like this. It may appear different if we could see the whole picture in all of its dimensions and scope. Yes, you are right Pat.. What we see is a fraction of our existence and we try to make judgement and conclusions based on that. And, it has also happened so many times, that what seemed to be wrong & troublesome to me today had turned out to be a blessing in disguise when I looked back at the situation after a few days. And those are the times when I also think about looking at the complete picture. But, sometimes we come across such pathetic situations which leave us shattered and confused to the extent where we forgot about the whole painting & start looking and judging the immediate cause. why you guys are so confused over simple issue.its like a lift aka elevator in multi-storey building.its clearly written what weight the lift can take,if you ignore it and boards the lift.it will either get struck in middle or gets grounded due to overweight.lift won’t see whether its kid or adult causing overweight.same is with nature and our miscalculations or ignoring caution that will lead to death of fellow humans.god is no way related to these actions or deaths.if this world ends…it will be because of actions of humans.god never came to earth and god was never there in lives of humans. god is a billion dollar business for some people,god is superstition for some people,god is ultimate intellect for some people.people can classify themselves into these three categories.truth is,god never came in touch with humans and god never influenced human lives.i can say all this with so much confidence coz am true human who has led flawless life from childhood. Technically & logically your theory & explanation with the lift example sounds convincing. But, if I try to find out spiritual connection, I just get confused with so many question & not able to find a reasonable answer for them. And the belief in GOD, well everyone has a different perspective & this topic is not worth debating as its more about feelings & not about logic & theories. What I believe is, “nothing can happen without GOD’s will.” And when we say today’s world has become lot more polluted & corrupted then I would like to add on that this is “Kalyuga” & all this is destined to happen. Now, the question is why those “pure” souls are also suffering who have not adapted themselves or became a part of this polluted environment of “Kalyuga”? Ya…thanks.. lets hope & pray for the best. Akanksha – I’ve just nominated you for the “I Am Part of the WordPress Family Award” on my site at http://plaintalkandordinarywisdom.com/ive-been-nominated-for-the-i-am-part-of-the-wordpress-family-award/. I understand what you’re saying Akanksha when we’re in the immediate situation it’s hard to distant ourselves and look at it from a different perspective because of such intense emotions. I think that’s normal as human beings. I think the feelings whether intense despair or incredible joy touch a part of us that would never be touched and shows us how to look for comfort, love and understanding with more depth and meaning. Yes…Pat..!! This is what exactly happens. And the best we can cope up with these extreme situations, shows how strongly we can let go of worldly matters & how faithfully we can accept all as an act of GOD with some valid reason behind. Sometimes, it seems we shall just let the things flow like water & keep moving with that flow. The more we try to explore & interfere & understand the more complex web it becomes & we just get tangled in between with no escape route. well akanksha,pure souls don’t suffer coz they have chosen right path even after knowing consequences of righteous life.am the same 2yr old kid,i din’t change over years though people around became selfish and corrupt.i have chosen to be righteous coz it keeps me happy and keeps my mind peaceful.i do get irritated with people behavior around me,but its momentary. the word god is created out of ignorance.believing in god is ignorance and denying god too is ignorance.both theists and atheists are ignorant.i don’t belong to these categories coz i have answers and solution for every issue.we should argue or debate an issue that will help human prosperity,the unknown supernatural power of god was never part of human prosperity.it doesn’t make sense to discuss the entity that never helped human prosperity.the reason for human prosperity and misery was/is/will be human mind,not the god physically or technically. am 24 year old,if am dead in a flood or earthquake,i don’t care coz death is part of human nature.the law of nature says,the person who has lived life of naturally human can’t be killed by external forces such as natures fury,the person will die when he/she wishes within human life span.our consciousness tells us whether we are naturally human to defy death during natures fury. kid is just primary stage of human life,a primary stage never defines the human character coz law of nature applies only for grown up humans what they have become.kids getting killed in natural disaster is not against nature’s law.kids will grow into rapists,barbarians,idealists/revolutionaries/humanitarians. the word SPIRITUALITY was introduced for humans who are looking for peace of mind after leading life with flaws .spirituality is a phase where corrupt minds look for answers in scriptures and masters for their unanswered questions.check comments in below blogs. my comments are lil harsh,we can’t please people with sweet talk or lies.truth is always bitter,if you want to change this world,one should have acceptance to bitterness.if one feels the truth is hurting their beliefs, then one should not expect change in this evil world or should not grieve for misery. Truth never hurts…it is just hard to accept at times. Don’t know about God Akanksha but nature certainly is furious at us! absolutely furious! Hey! See, it’s not ‘god’ who is to be blamed alone for this unprecedented disaster. It’s all due to failure of disaster management, failure of weather department, mindless pursuit of economic development, mining mafia’s fault and the list goes on. Though, I agree that it should not have happened, but no one has control over nature. It’s we, the humans, who are responsible for this fury and wrath of nature. God is merciful, kind and loves his creation. Think for a while, why would he deteriorate his own creations ? We should not blame god for our misdeeds. That’s all I want to say. May God bless the departed souls!